Next time you want a pint at your local, you won’t feel so guilty about having an extra beer because it turns out going to the bar could be good for your health and it’s all down to socializing. Researchers from Oxford University investigating the effects of alcohol consumption found that social engagement could be the key to a healthy sense of well-being, which just happens to involve being in a bar environment. The study, titled ‘Functional Benefits of (Modest) Alcohol Consumption,’ from Oxford’s experimental psychology department stated that although conversing with peers in small groups attributes to socialising, the role of alcohol “in triggering the endorphin system” is also vital - and all part of the bar experience. 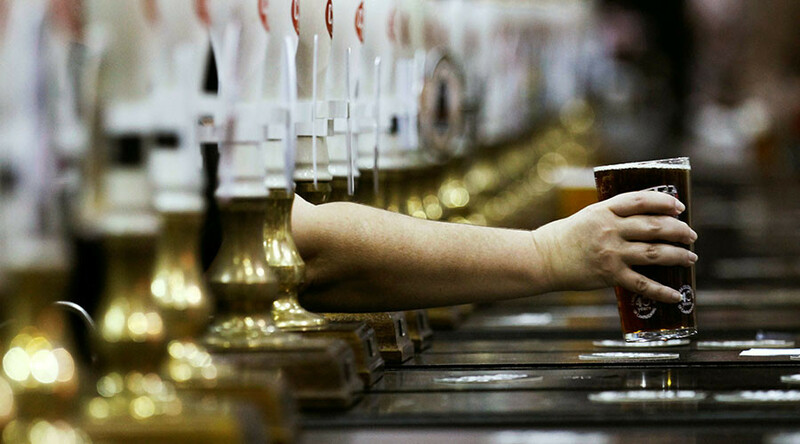 Researchers combined data from three separate studies including a questionnaire study of people going to bars, research focusing on conversational behaviour in the venues and a national survey from the Campaign for Real Ale (CAMRA). Combining all three, the researchers examined how the patterns of consuming alcohol and the different types of venues impacted people's social lives and health. Those who are regular punters at a “local” bar tend to feel more socially engaged and have a better community spirit, according to the study. People who didn’t have a local pub were found to have smaller social networks and were less engaged or trusting of their local community. “This study showed that frequenting a local pub can directly affect people's social network size and how engaged they are with their local community, which in turn can affect how satisfied they feel in life,” Dunbar said. In the study, people also socialized in smaller groups at local bars, which encouraged the whole group to converse while larger groups tended to stick to city-center bars where less people engaged in conversation. “Like other complex bonding systems such as dancing, singing and storytelling, it has often been adopted by large social communities as a ritual associated with bonding,” Dunbar stated.